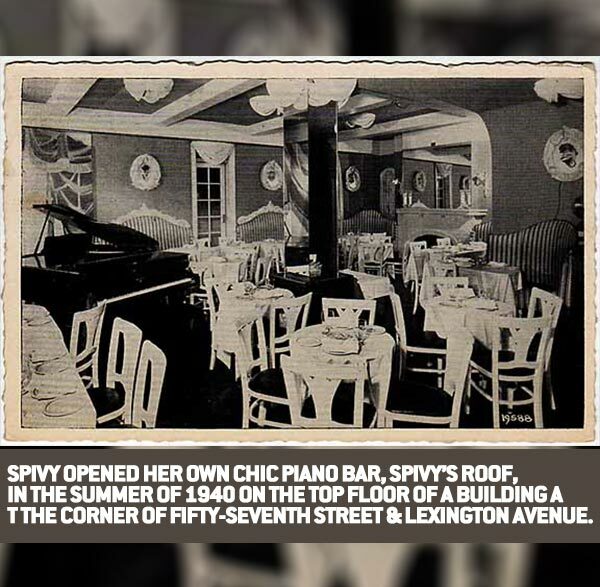 Spivy opened her own chic piano bar, Spivy’s Roof, in the summer of 1940 on the top floor of a building at the corner of Fifty-Seventh Street & Lexington Avenue. 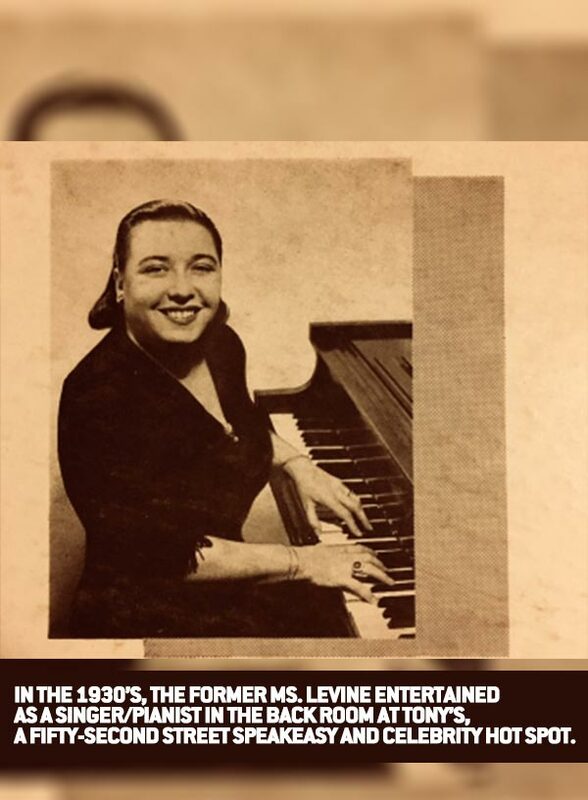 Notable performers through its 11-year existence included Mabel Mercer, Thelma Carpenter and Martha Raye as well as early performances by Liberace and Paul Lynde. 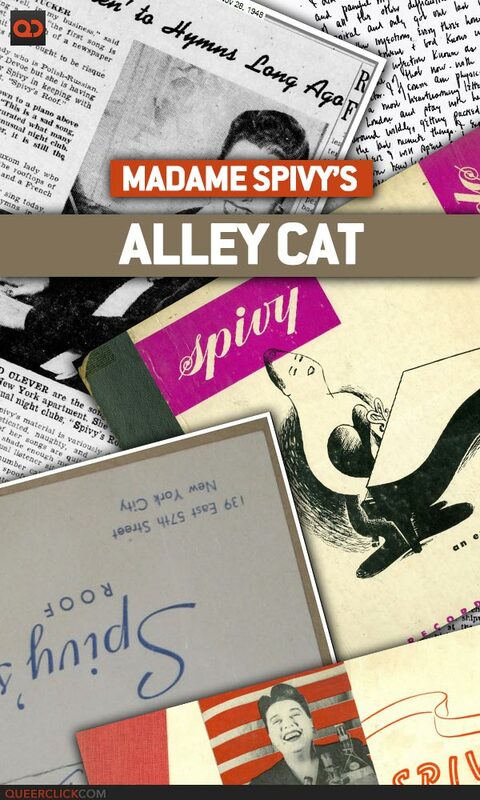 Spivy’s Roof makes an appearance in the seminal book Gay New York and pops up in several memoirs and biographies of performers, artists and notable society personalities of that era. She was a plump lady (one writer said that she was “squat like a bulldog.”) She wore her hair in a tight pompadour with a white streak down the middle. She would place a tall glass of what was probably chilled gin on the piano before her. During her time on stage, she would drain a couple, but her singing — her low, throaty voice — would always be perfect. 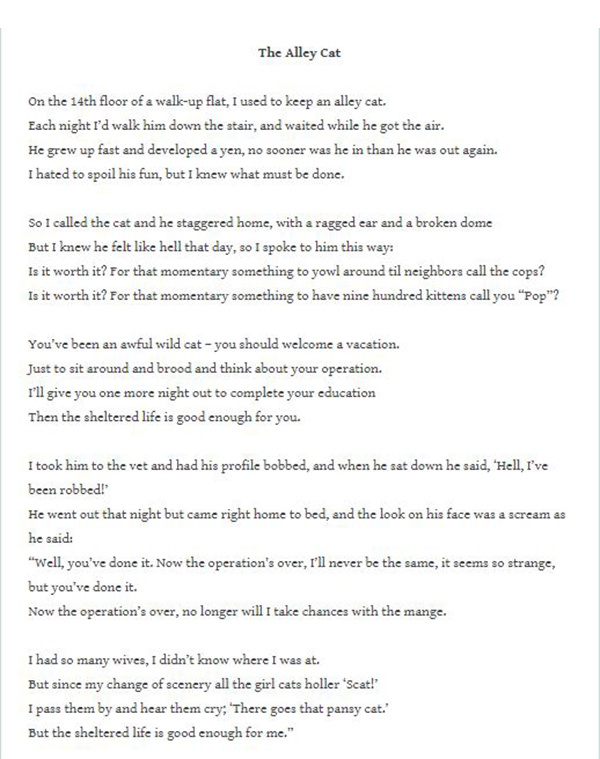 The one (song) I remember best of all is The Alley Cat. I cannot for the life of me remember more than a couple of lines of Hamlet that I was taught in that Prussian military school. I still have trouble remembering which novels were written by the Brontë sisters and the ones that came from the pen of Jane Austen. 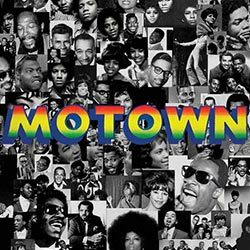 But to this day I can recite most of the words of The Alley Cat, along with the intonations, the riffs (and the pauses for laughs) exactly as it has been tricked away in my memory-bag for the last fifty years. 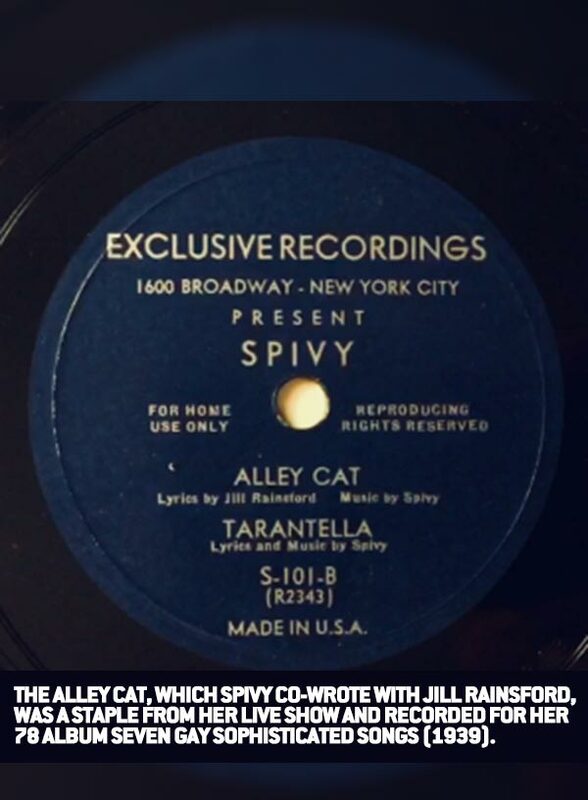 The Alley Cat, which Spivy co-wrote with Jill Rainsford, was a staple from her live show and recorded for her 78 album Seven Gay Sophisticated Songs (1939). 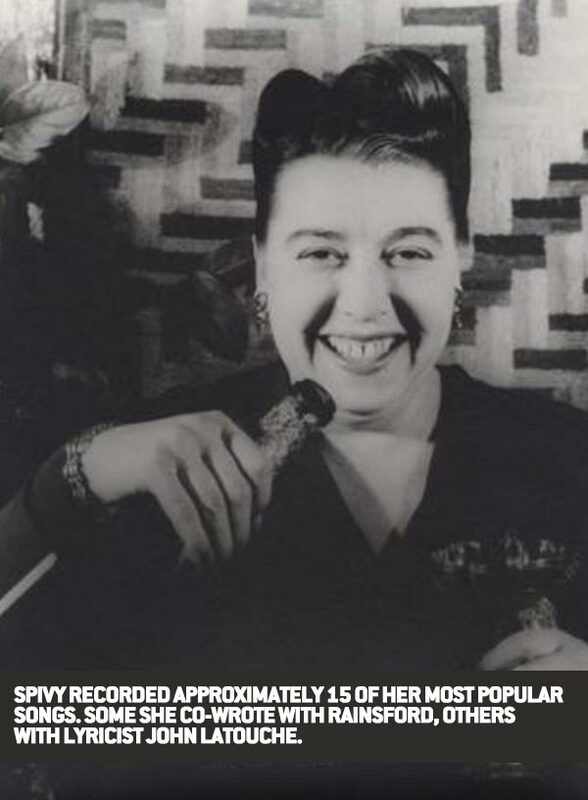 Spivy recorded approximately 15 of her most popular songs. Some she co-wrote with Rainsford, others with lyricist John LaTouche. None of these recordings – originally issued on 78 record albums between 1939-1949 – were ever reissued in any format. 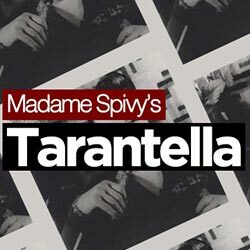 I am slowly uploading them to youtube and will dole them out along with other Spivy tidbits in the near future. 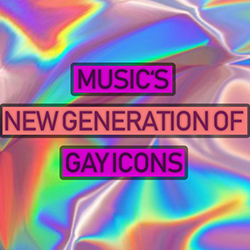 In the meantime, if you are so inclined, check out the Queer Music Heritage website, which has a lot of information on Spivy, although the site is rather antiquated and some browsers won’t support it…. If you choose to heed the “unsecure site” warnings and avoid it… then the sheltered life is good enough for you. This post originally appears on Brian Ferrari’s blog.